Detailed exterior view of the entrance doorway seen from the West North West. 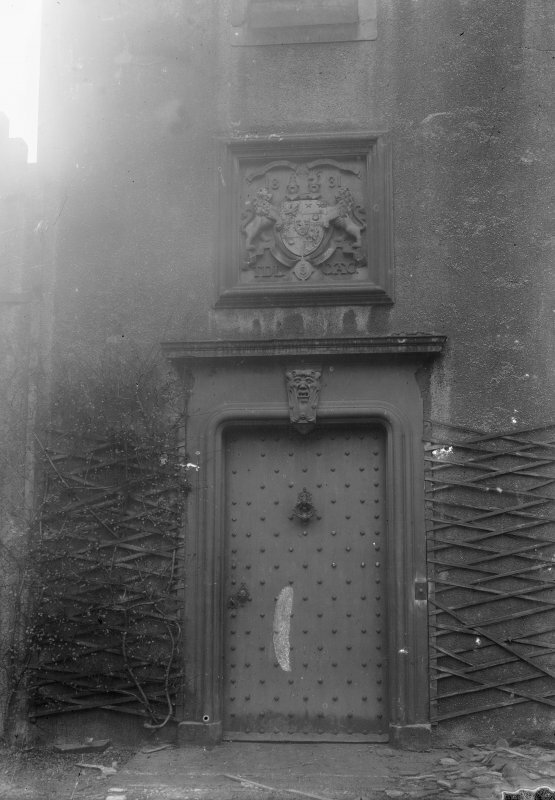 Above the studded door is a stone relief of a coat-of-arms of two lions flanking a crest dated 1831 and with the initials TDL and CAC. 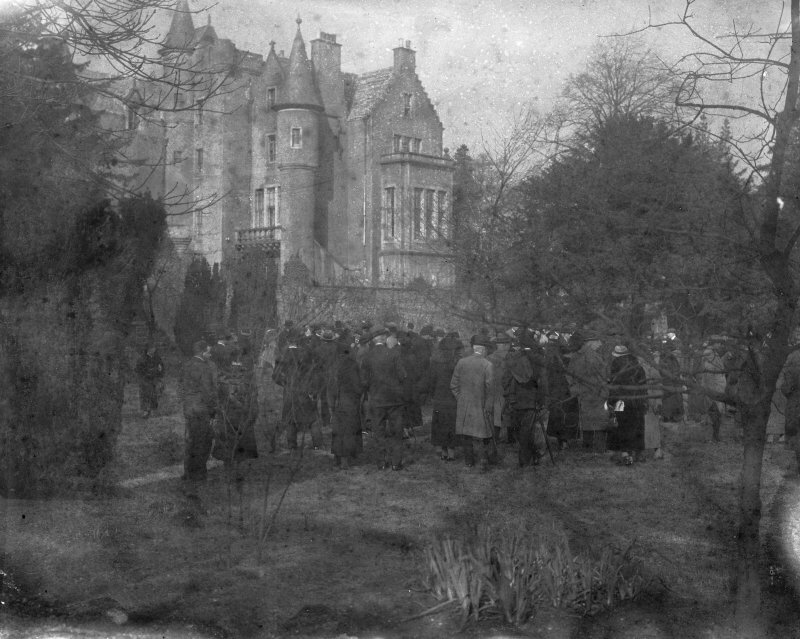 General distant view of the house partially obscured by trees with a large group of people walking around the grounds, seen from the South. View of the Grange House Lodge seen from the South West. 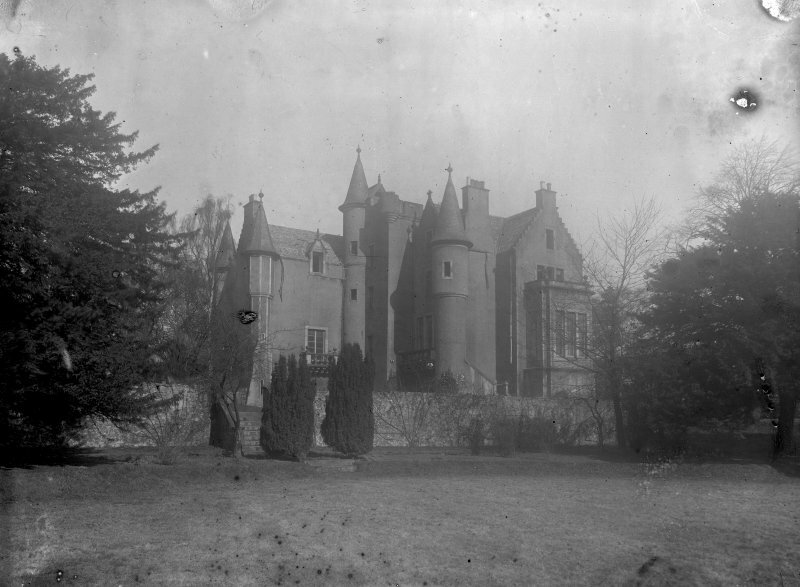 View of the house seen from the South West. 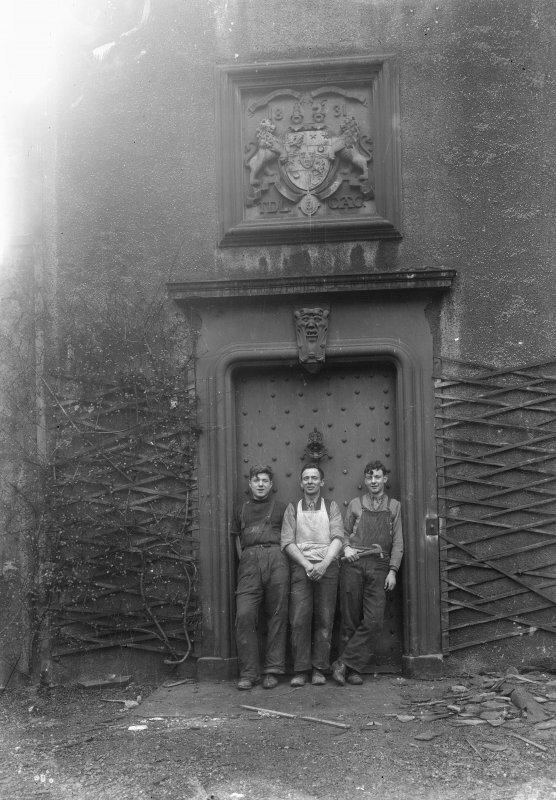 Detailed exterior view of the entrance doorway with three workmen standing in it seen from the West North West. Above the studded door is a stone relief of a coat-of-arms of two lions flanking a crest dated 1831 and with the initials TDL and CAC. 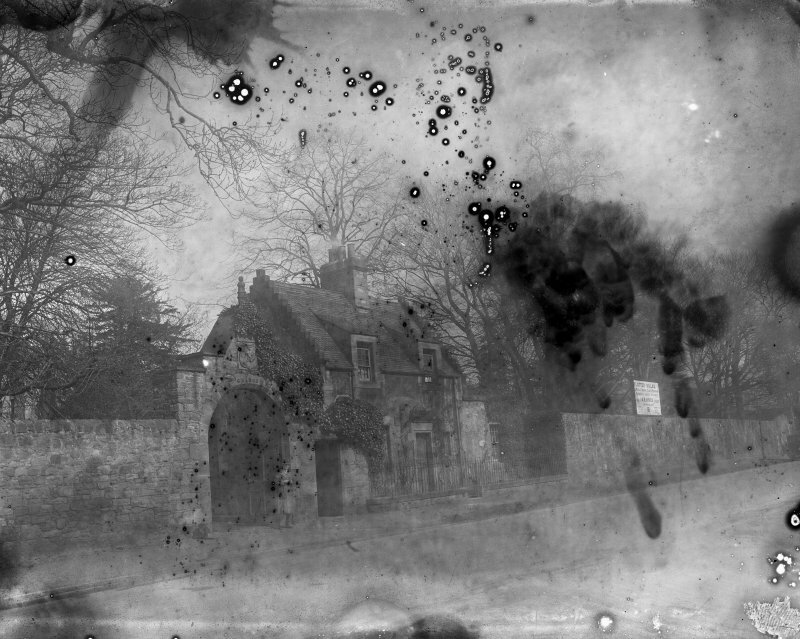 General distant view of the house and its grounds seen from the South. 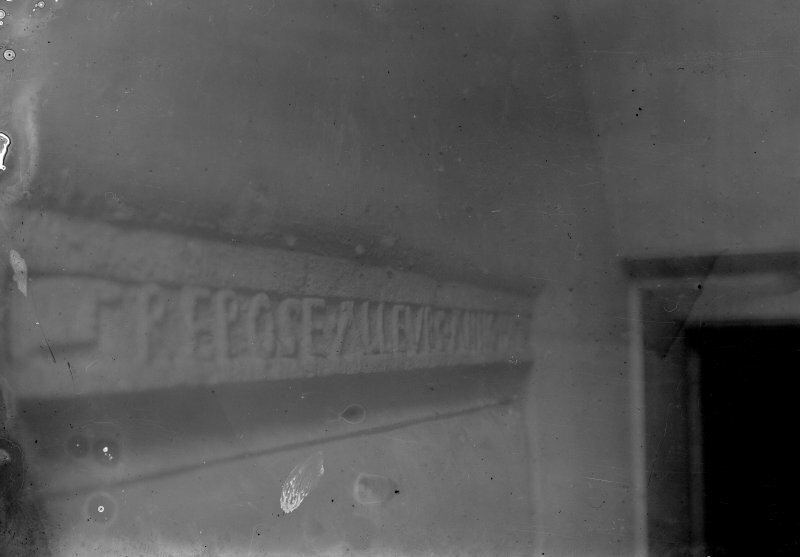 View of the engraved lintel over the original entrance doorway. View of the Grange House Lodge from the South West. D MacGibbon and T Ross 1887-92; RCAHMS 1951. No traces of the house or outbuildings exist; site built over by modern houses. Visited by OS (J D) 31 December 1953. Grange House - The oldest portion of the house dates from 1592, but the greater part of the building is of 19th century works. A door lintel bears the date '1592': while in a wall of the outbuildings are arms bearing the dates '1613' and '1674'. The gate pillars are of 17th century date. 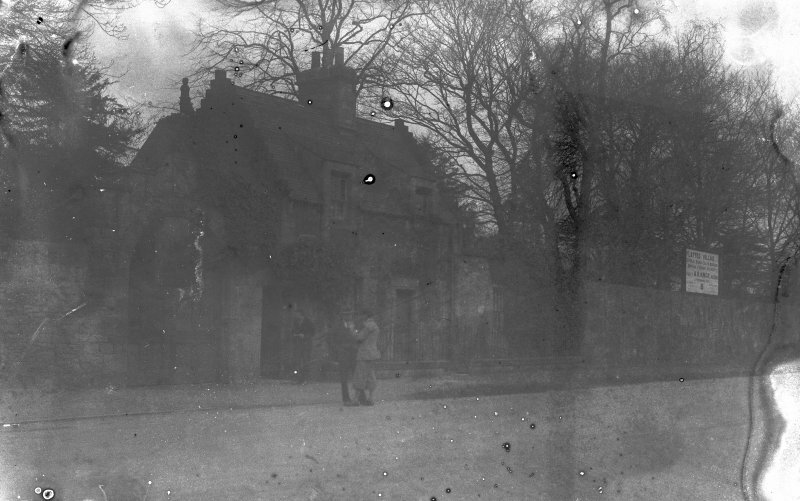 D MacGibbon and T Ross 1887-92; Visited by OS (J D) 5 June 1954. The information from OS (J D) in 1953 is still correct. OS (J D) 1954, substantiates dating information from MacGibbon and Ross (1887-92) - ie. 16th century mansion-house. Accurate dating of gate-pillars was not ascertained - but one exists still. Visited by OS (J D) 5 June 1954. ARCHITECT : Playfair (additions 1831). 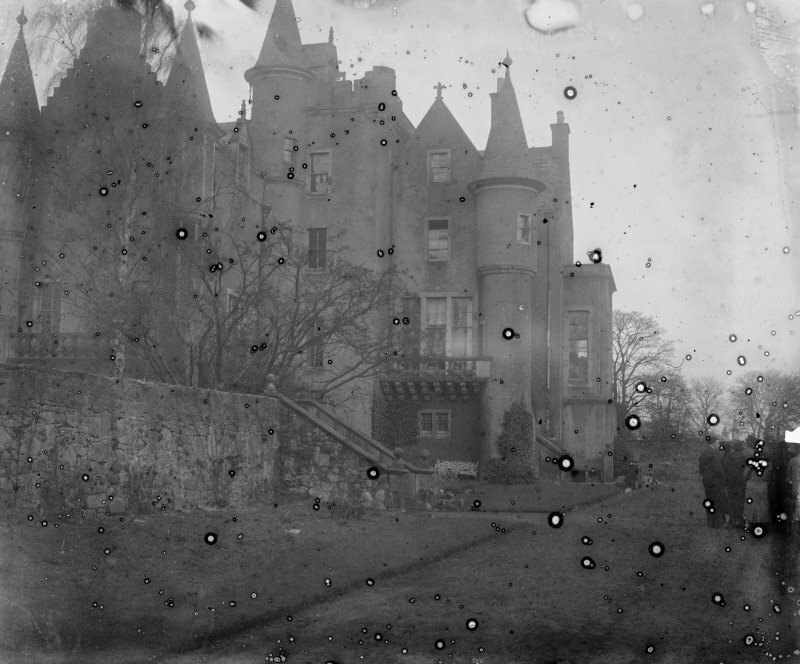 In relation to drawings EDD/101/1-5, the catalogue slip says 'See also RED/20/1 Exterior stone stairs, with Pollok Castle, Renfrewshire.' This drawing was not found at the time of upgrade.